Thanks, Yankees! It was the thrill of a lifetime! 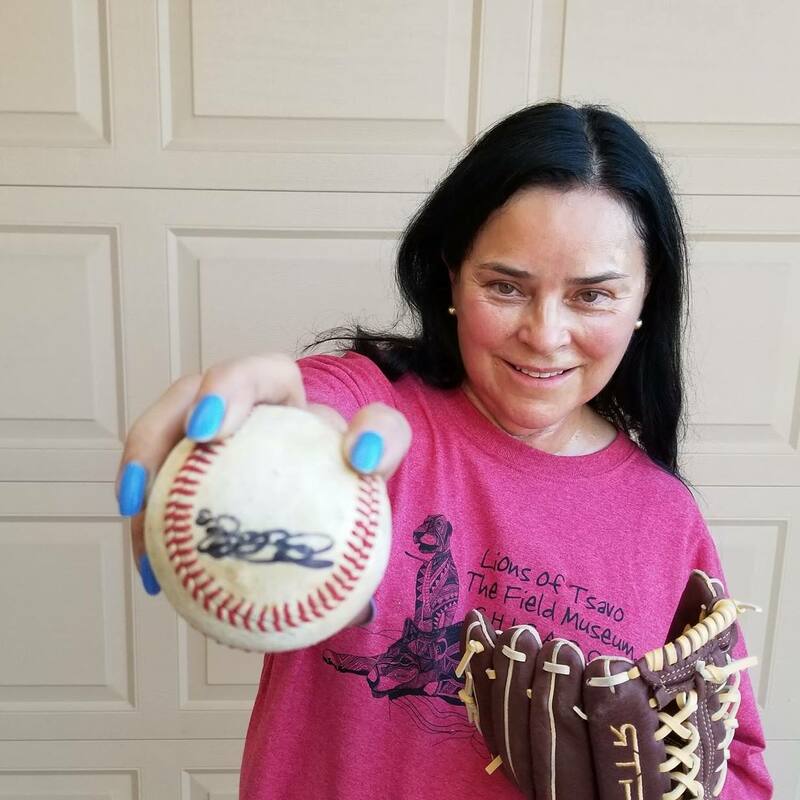 Photos on this blog post by Diana Gabaldon and her husband, Doug. What a lucky girl you are! 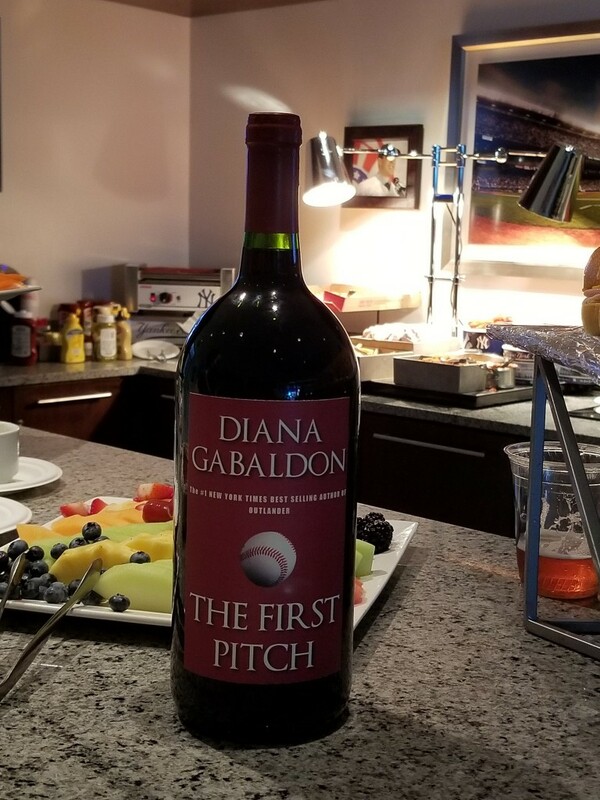 Congratulations Diana on your first pitch! I’m from Toronto. Too bad Blue Jays lost. I don’t watch them very much anyways. I am glad you had a great time. Maybe other baseball teams are asking for you next as it seems you have a special pitch ! Smile! What a thrill! You didn’t mention if the ball made it across the plate —but I’m confident it did. Congratulations! What a wonderful experience for you. Glad you had a blast. Nice artistry for the wine bottle labeling. Not a Yankees fan but I’m sure throwing out the first pitch for my Orioles this season would not be a thrill. 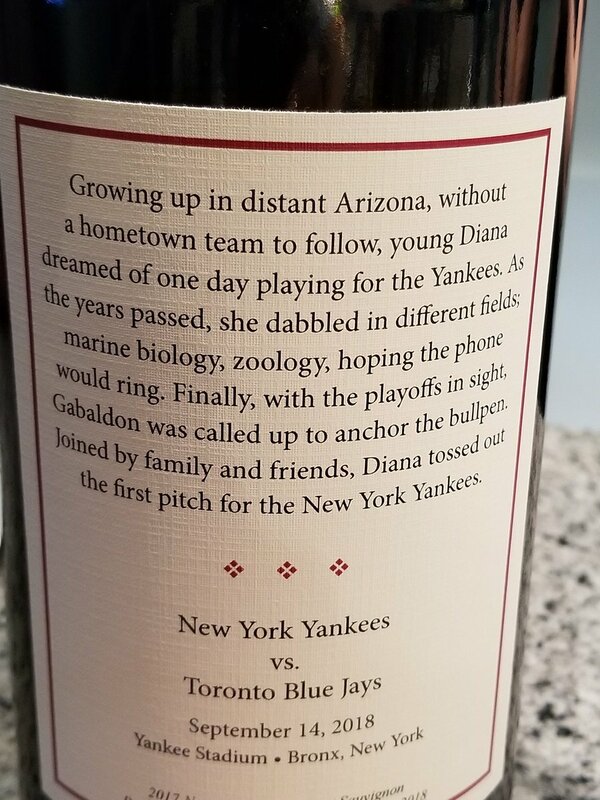 Not a baseball fan, but ANYTHING you do is a hit with me, Diana! Have read every syllable you’ve written (at least twice!) and longing for more. Made a pilgrimage to Scotland in August to Outlander territory (incl. Culloden, Inverness, western Highlands and Skye), followed by five days in Edinburgh during the Festival. Immersing myself in that breathtaking, glorious landscape and culture was thrilling — a dream trip! You’ve opened up a whole new universe for me, and I’m deeply grateful. “Bees” can’t get here soon enough for me! I have now completed all your Big Books and it took me almost 2 years! more than once.my counselor then listened to the audio book of Outlander. as he secretly watches young William by the campfire. I called both my grown children to tell them how much I love them. cliff hanger ending on the very last page! I am voting for Outlander on the Great American REad daily! Congratulations. Hard to think of baseball when we are expecting snow Saturday in Saskatchewan. Maybe hockey!